Published: Sept. 6, 2018 at 01:14 p.m. Updated: Sept. 7, 2018 at 05:01 p.m. But I'm here to say that Bell, who has been franchise-tagged for the second straight season, IS MAKING THE RIGHT CHOICE. Before you start barkin', just hear me out. 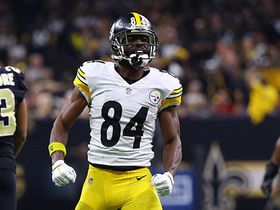 The Steelers and Bell are in this situation because, for the second straight year, the parties couldn't agree on Bell's worth before the July 16 deadline to reach a long-term deal with franchise-tagged players. Paying players based on their production -- rather than the position they play, a topic broached this offseason by my NFL.com colleague Bucky Brooks -- is the approach teams should take when working with transcendent talents. We've witnessed this on several occasions, but there's still room for improvement on that front. Speaking on SiriusXM NFL Radio on Wednesday, Bell's agent, Adisa Bakari, implied that the 26-year-old could sit out well into the season. Asked about Bell's plan going forward, Bakari provided a notable response. "I'll answer that question with a question," said Bakari, who, I should disclose in the interest of full transparency, is also my agent, but by no means influenced the contents of this article. "Because you know very well that I'm not obviously going to discuss our plan publicly. But I'll answer the question -- or attempt to -- with a question. What would the goal ... You're (Steelers general manager) Kevin Colbert, you're (Steelers coach) Mike Tomlin, and you possibly have a once-in-a-generation player for one more season. What would your plan be? What would you do with that hypothetical player? "I think you can read in between those lines." 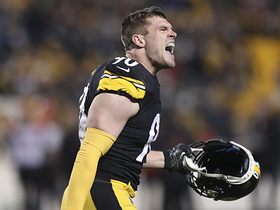 1) Report to the Steelers yesterday and play a full season, earn $14.544 million, get physically run down with 400-plus touches, and then enter free agency. 2) Work out a sign-and-trade understanding with the Steelers, which would allow Bell to play somewhere else in 2018 and allow the Steelers to receive assets in return. 3) Sit out until the NFL's mid-November deadline (more on that below), limit the pounding on the body, and hit free agency healthy. Unlike Bell, I wasn't under the franchise tag, but I held out for 38 days prior to the 2012 NFL season. Having just won a rushing title -- logging an NFL-high 386 total touches in the process -- I felt I had earned a new deal. The Jaguars, who went through organizational changes that offseason, lacked communication with me and my reps about getting a fresh contract done. I didn't want to be a distraction to my teammates, so I reported right before Week 1 (in football shape) without a new deal. I ended up injuring my foot in Week 7 of the 2012 campaign (having totaled 100 touches already), and that Lisfranc injury ultimately ended my career. I wasn't able to get back to playing at a high level in 2013 and, as a result, never got my due. Looking back, I wish I would have held out longer to prove my worth. That's why I feel so strongly about Bell sitting out right now. So, what's at stake if Bell continues to not report? The Steelers and their franchise-tagged back can only agree to a one-year deal at this point, and the deal cannot be extended until after the 2018 regular season. 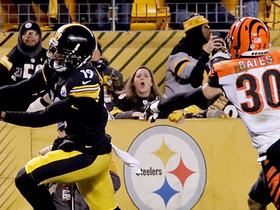 Bell can choose to sit out until the Tuesday following Week 10 (Nov. 13). If he doesn't sign by that date, by rule, Bell can't play for the remainder of the season, and the Steelers would have the right to franchise-tag him again next year as if they were tagging him for the second time. But if Bell signs his current tag at any time prior to Nov. 13, the Steelers would have to either tag him a third time at a hefty price tag next offseason or let him hit free agency. If he does decide to sit out until that date, Bell will lose slightly more than $8.5 million of his $14.544 million tag. 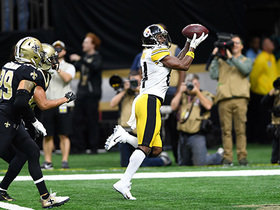 One other possibility -- though NFL Network Insider Ian Rapoport reported Thursday it won't happen -- is the Steelers could rescind the franchise tag, allowing Bell to immediately become an unrestricted free agent. I also don't see this as a legitimate possibility in this particular situation, but it is technically an option. Remember when the Panthers did this with Josh Norman in April of 2016? Drawing from my own NFL experiences and assessing Bell's current standing in this league, I think the three-time Pro Bowler has earned the right to receive a big payday -- and sitting out until Nov. 13 gives him the best opportunity to do that as a free agent next March.